WHAT CAN THE HOLOLENS DO? I have begun using and developing for the HoloLens. In this article I review my impressions of the HoloLens and provide links to extensive resources, both for suggesting the kind of Apps for which the HoloLens is uniquely appropriate, and links to training, documentation, and other aids to developing HoloLens applications. · Mixing of real world and computer generated images. Although not usually considered when talking about the HoloLens, these functions are somewhat independent and could be realized, to an extent, separate from each other. The display allows you to see and hear the real world you are in, while adding computer generated audio, text and images (called “holograms”) that seem to be in the real world with you. The HoloLens contains distance sensors and video and audio capture devices that can sense, capture and record the real space around you and save videos that include the real world together with the holograms you perceive looking through the HoloLens; it can use that information to create content. The computer that controls the HoloLens is in the HoloLens. So you wear it! It controls the display, monitors the sensors, and stores data in real time. 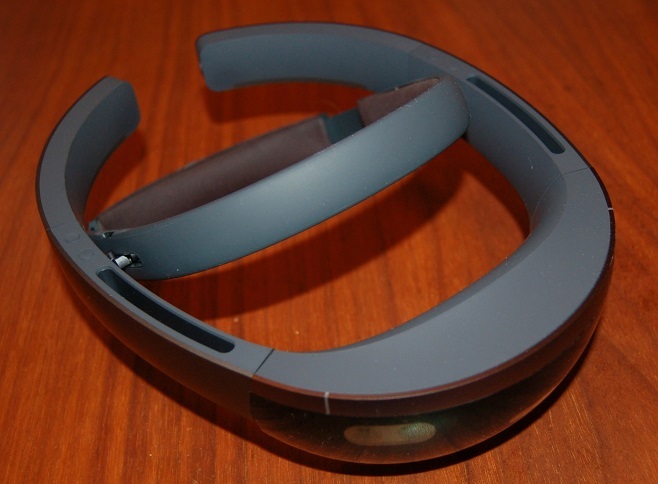 The HoloLens can communicate externally with Bluetooth and Wi-Fi, or via a USB cable to other hardware, and also allows communication between devices, and allows different HoloLenses to share their view of holograms. It can mix holograms with the real world and allows interaction between the real and computer generated worlds. Augmented Reality (AR) allows you to get information while viewing the real world. Mixed Reality (MR) allows you to mix the computer generated world and the real world as if they are one. XR = VR + AR + MR + …. That it can capture photos and video of this mixed world with holograms in the real world. A hologram, as the term is used by Microsoft, has a meaning somewhat different from the “classic” meaning of the term. A hologram is a photographic recording of a light field, rather than of an image formed by a lens, and it is used to display a fully three-dimensional image of the holographed subject, which is seen without the aid of special glasses or other intermediate optics. A 2D or 3D image seen with special glasses which can be controlled and animated by a computer, so that it seems as if it were in the same actual room as the viewer. A hologram shot directly by my HoloLens. The current version of the HoloLens hardware, and the current software (OS, development software, Apps…) is being provided to developers only. It is not yet ready for consumers. Before making it available to consumers, the hardware and software needs to be improved. Here are some possible features that would make it easier, more useful, and a better value for consumers. At the present time, the HoloLens is a very specialized device. The general value of Microsoft’s contributions and development of XR would be enhanced with a complete vision for developing software and hardware to support the XR industry. Most important, MS should extend the hardware and software offerings from MR to all of XR, including, for example, a tight linkage to VR, IoT, AI and especially machine intelligence, which can power many of the most important applications, including navigation, and any application in which real world vision is linked to computer assisted processing for searching, identifying and providing relevant information. I am suggesting that MS put the HoloLens at the very center of an eXtended Reality ecosystem, rather than leaving it as an outlier. Tethered devices (like the RIFT or Meta) could become untethered by using powerful laptops worn by the user (perhaps in a backpack), or by using fast Wi-Fi connections to a powerful computer; or eventually with fast wearable computers. A targeted group of users who will, essentially, rent the HoloLens which will be included in the price of the application (for example, players in a location based game, or a game-park). Notice that, because the computer is specialized (and head-mounted), finding generalized uses for the computer (thus amortizing the cost) may be difficult, and many industrial applications of the HoloLens will need to justify the whole cost of the HoloLens for a particular application. Exploring mixed real and imaginary places. Shopping (for example, a virtual mirror), or placing potential purchases in a real setting -- curtains? couch? How does it look in my living room? The Wikipedia page for HoloLens (see link below) lists some applications that have been announced or demonstrated, including, in particular, a collaboration with NASA. The user needs to share information about some remote object, while seeing additional information about the object or seeing the real world. All in all, the bottom line is that there is still work to be done on both HoloLens hardware and holographic software and, because it will be expensive, the applications must be valuable enough to justify the cost of purchase. But, most important, the HoloLens is potentially a tremendously valuable device, with many important, even vital, use cases and possible applications, and it is REAL: development on the actual HoloLens as well as the HoloLens emulator is now possible. [*] Note: this video was shot by the HoloLens through the HoloLens. It shows what I was seeing. The cube is stationary in space, but as I moved – side to side and up and down – I am looking at the hologram from different angles. The video also shows the effect of gestures and voice commands.